By creating opportunities for youth to engage with the poverty of their city, YES is equipping young people to become servant leaders in their own communities. The YES College Day that I attended was not only an amazing way to connect with the greater Bloomington community, but it was also a new way to think about how we, as Orthodox Christians, are supposed to care for those around us, no matter where they come from. What I received from YES Leadership Training is something unexplainable: an inner confidence, a voice, a purpose, an ever more present yearning to do something MORE. I also received love, a deeper love than anything I've ever experienced from everyone that surrounded me. “The YES College Day was an excellent experience because it looked at service through a different lens than the traditional service project day. Though coat drives, dinners, and other traditional activities are excellent ministries…YES focuses on interacting with the community in different ways." "Christ calls us to love our neighbors. 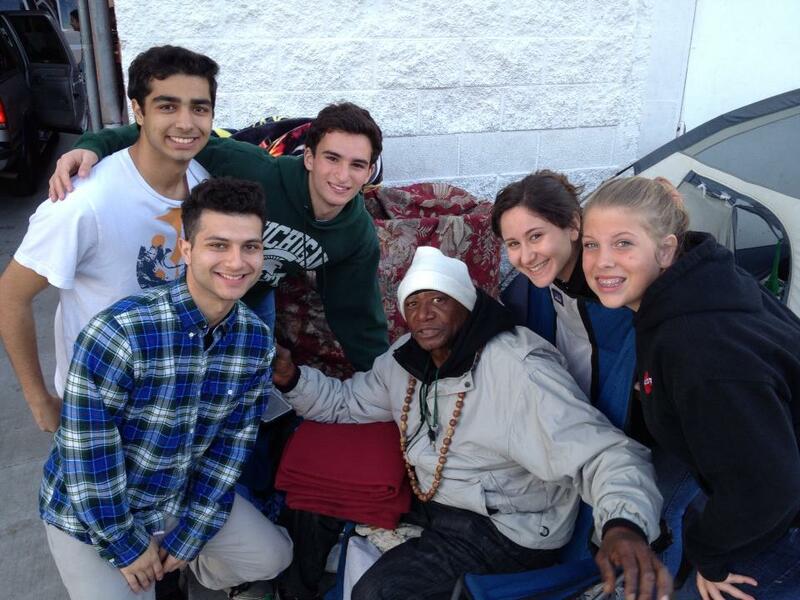 As a YES trip participant, those neighbors were most often the poor, the hungry, and the homeless. However, leadership training made me realize another critical component of YES: that we’re all each other’s neighbors." “YES guides us with a compassionate outlook on life, teaches us to break down stereotypes, and most importantly to love all of our neighbors, despite whatever situation they may be in. The way that I see things and people...has been truly and forever changed." "My experience with YES was amazing! I recommend this for everyone. It opened up a new view to see the world around me...We are blessed to have what we have. Ever since this experience, I have opened myself up to get to know the people in my community." You can get involved too! A WORLD PARTY is a beautiful way to bring all the people of a community together for some fun. Host one in your town! By giving monthly you can ensure that YES is fulfilling it's mission all year long. Join the YES Sowers monthly giving society. We will send you a tote bag to fill with gifts for someone in need, to help you create your own personal service project! Sign up for our newsletter to make sure you stay informed of opportunities to volunteer and give. A gift of $25 will enable a group of students to share food and fellowship with someone in need. You can bring YES to your community no matter where you are in North America.